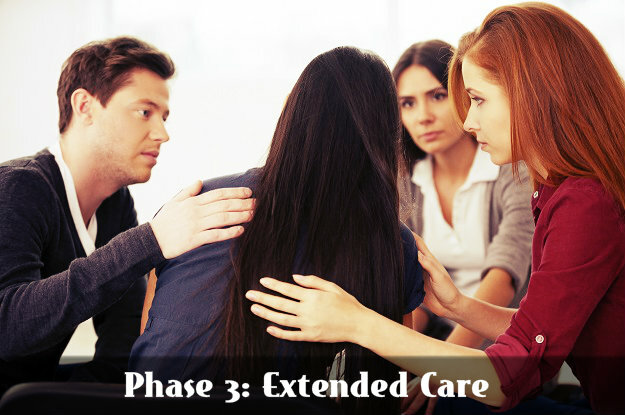 Once our clients successfully complete Phases 1 and 2 of the drug and alcohol treatment program here at Maryland Recovery, they move into Phase 3: Extended Care. This phase is very important, since it allows clients to practice the skills they have learned in treatment while helping them to prepare for independent living beyond rehab. Helping clients achieve long-term sobriety is the goal of our extended care drug and alcohol treatment program. Sending recovering addicts off after they have finished their course of treatment without giving them the tools to function and without having the support they had in rehab is unfair and not conducive to helping them reach their goal. Taking away that support too soon will set a client up for failure. That’s why at Maryland Recovery, we make sure that our extended care program provides clients the tools and support needed for life-long sobriety, during and after their rehab stay. At our facility male and female clients are housed separately. Clients are further separated into groups depending on their phase of care. Our clients interact with other people who are at the same level of care. We have found that having clients at the same level of treatment housed together is helpful, since our clients provide help and support for each other. Our clients are most comfortable with others who are at the same level in the treatment process, and we have found that this type of peer support boosts recovery rates. During Phase 3, the same group of clients is housed together in the same residence, will go to group therapy, and attend outing activities together. We are currently developing a Phase 4 program which will be offered as a non-residential rehab program for clients who need extended sober living but who want the option of being able to attend the long-term outpatient treatment without continuing to live at our residential housing. Phase 4 treatment will also be available to residents of Harford County who meet the criteria for non-residential OP services. Call Us Now To Find Out If Our Customizable Treatment Programs Are The Right Choice For You Or A Loved One! This entry was posted in Rehab Information and tagged Extended Care, Phases of Care, Sober Living on September 17, 2014 by mdrecovery.